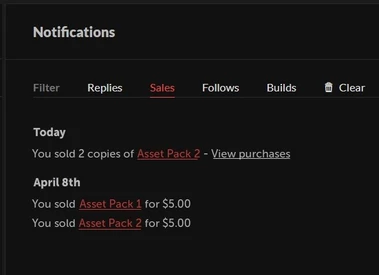 With the current version if a Game / Asset Pack has been sold more than once withing the same date, the Content Creator has to click on 'View Purchases' to see all the sale made on that pack in a different screen. Maybe we can tweak the grouping threshold? 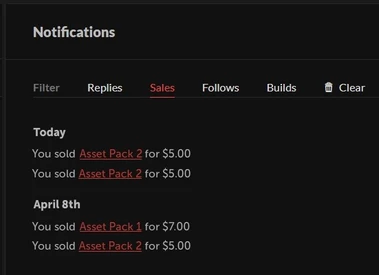 There are some developers that sell 10s or 100s of copies where it doesn't make sense to show individual items. Alternatively we can try to improve where the "View purchases" link takes you, to something that only shows those purchases.